You can learn about the cutting-edge research taking place at the KEK. 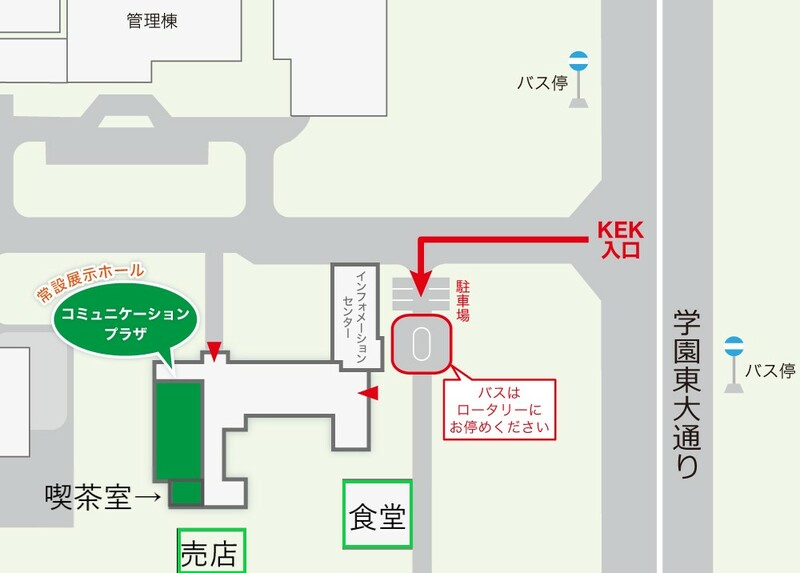 No reservation is required to visit KEK Communication Plaza. 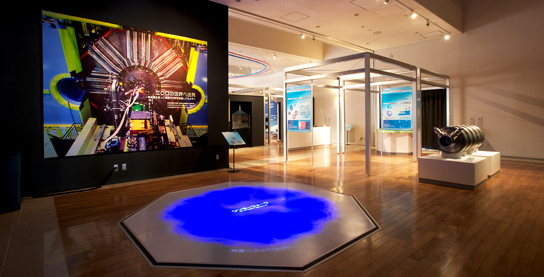 Located at Tsukuba Campus, KEK Communication Plaza will makes everybody to feel closer to the world of mysterious universe with many interactive exhibits include brand-new “Wonder Quark,” which you can experience the world of smallest particles. ※ All displays are available in Japanese only. Some English theater contents are available. Please contact Public Relations Office for more information.